He’s twelve inches tall and cost me a big chunk of my paycheck. What’s worse? I bought him a suit. And since you can’t take off the armor, I bought him another body. Then I was like: why even screw around with removing his head? and I bought him a second head. So, essentially, I bought two Loki dolls. Right now, I’m waiting on an auction to end for his shoes. And I’ve been thinking about getting him the little scarf, too. Since I got a full-sized one for myself. You know what, though? This is probably the coolest thing I’ve ever owned. And I earned the money I used to pay for it. 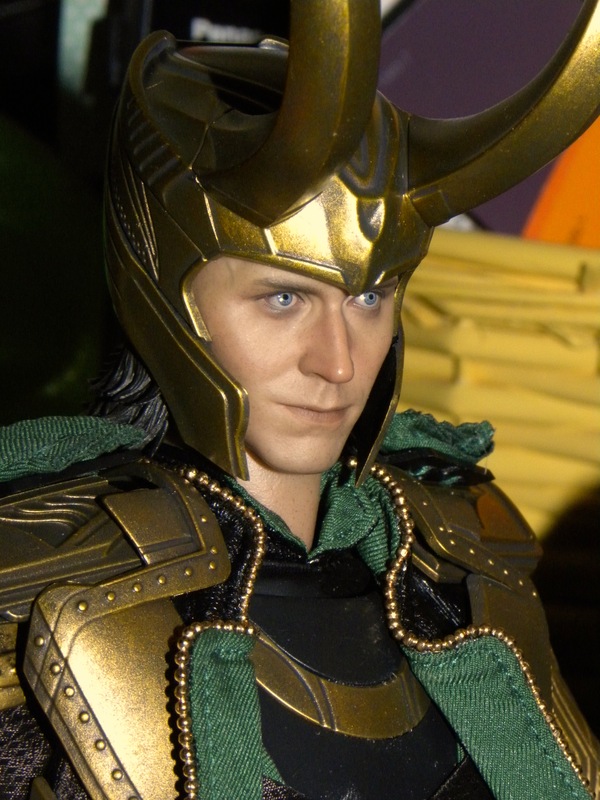 On a related note, after watching Thor: The Dark World, I’m convinced that they need to make a movie all about Loki. This entry was posted in Uncategorized and tagged actor:tom hiddleston, dolls, movie:the avengers, movie:thor on November 24, 2013 by JennHolton.